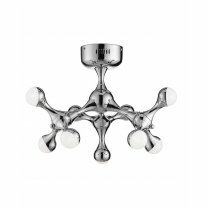 The Kara from Searchlight is a semi-flush LED ceiling fitting finished in polished chrome and featuring frosted glass diffusers. 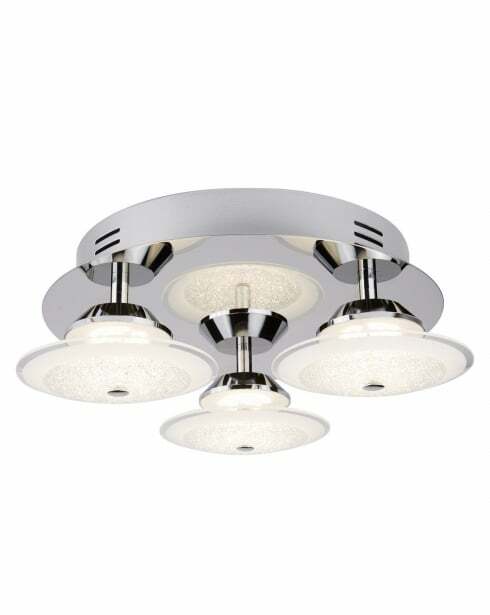 The 3743-3CC is a three light fitting whose integrated LEDs provide 1300 lumens of warm white (4000K) light, these LEDs are not replaceable and the fitting is not compatible with a dimmer switch. 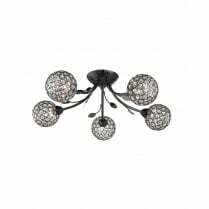 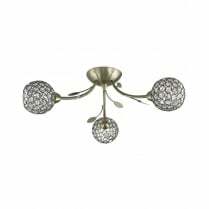 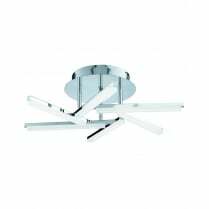 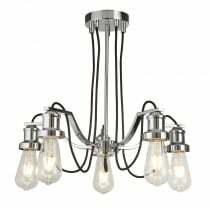 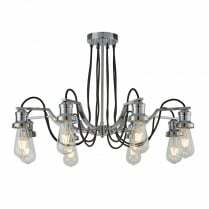 The Kara three light fitting has a diameter of 34cm and a height of 10cm.